Mia’s abuela has left her sunny house with parrots and palm trees to live with Mia and her parents in the city. 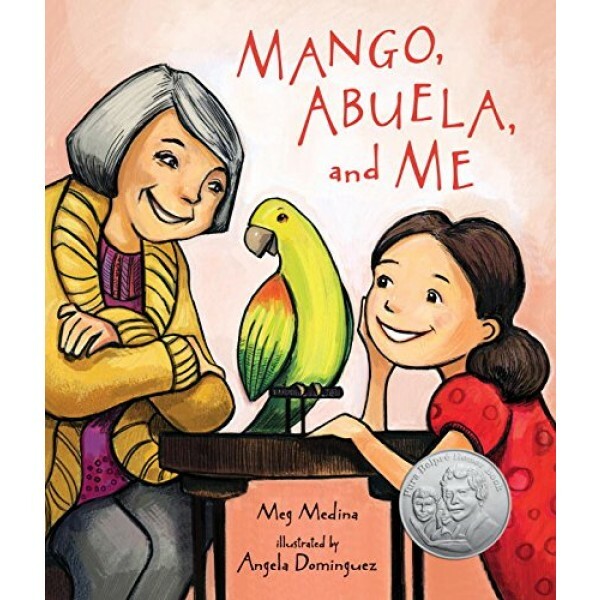 The night she arrives, Mia tries to share her favorite book with Abuela before they go to sleep and discovers that Abuela can’t read the words inside. So while they cook, Mia helps Abuela learn English ("Dough. 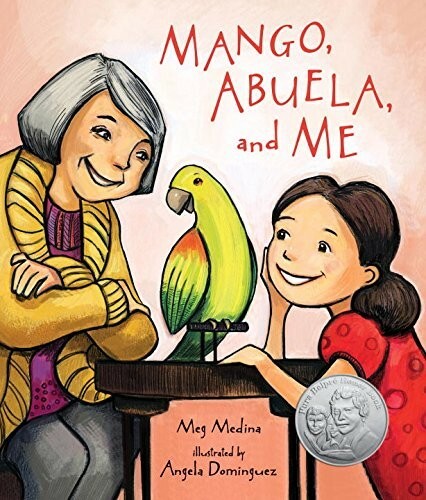 Masa"), and Mia learns some Spanish too, but it’s still hard for Abuela to learn the words she needs to tell Mia all her stories. Then Mia sees a parrot in the pet-shop window and has the perfect idea for how to help them all communicate a little better. An endearing tale from an award-winning duo that speaks loud and clear about learning new things and the love that bonds family members.